FAISALABAD: Pakistan Muslim League-Nawaz (PML-N) candidate Pir Qutab Ali Shah alias Ali Baba has clinched the bye-election of Provincial Assembly constituency PP-89 with a margin of more than 20889 votes by defeating independent candidate Sonia Ali Raza, daughter of Pir Ali Raza Shah. 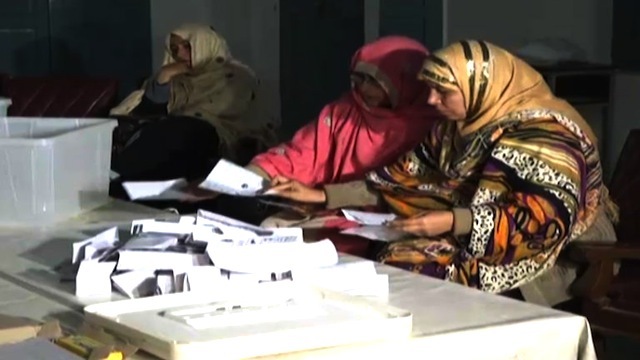 The by-election was held in a peaceful manner in PP-89, which was vacated owing to the death of PML-N Member of Punjab Assembly Syed Ali Raza Shah. According to unofficial results, Pir Qutab Ali Shah got 56828 votes while the runner up Sonia Ali Raza got 35739 votes in the by-election. Pir Qutab Ali Shah is a spiritual personality of Pir Mahal and caretaker of Sindhllianwali shrine. Baba is nephew (sister's son) of former prime minister Syed Yousuf Raza Gilani, son of former MPA Pir Syed Abrar Hussain and grandson of late Senator Pir Syed Israr Hussain Shah. Pakistan Tehreek-e-Insaf (PTI) had nominated Rana Muhammad Shafiq Khan for contesting bye-elections in PP-89 who retired from the contest four days earlier from the elections in favour of PML-N candidate Ali Baba, saying that local PTI organization was not supporting him and it had been divided into two factions. Ali Baba was also elected unopposed as Chairman in Local Bodies (LB) Elections 2015 and he was inspiring for contesting District Council top slot in Toba Tek Singh.